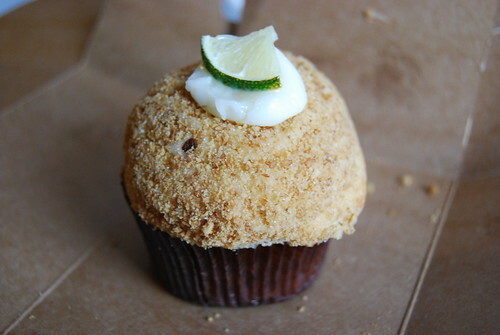 I read this rave review of the Georgetown Cupcake key lime cupcake, which is only available through the end of August, and it made me think about key lime cupcakes, a personal favorite, so I went looking for some photos and found these. 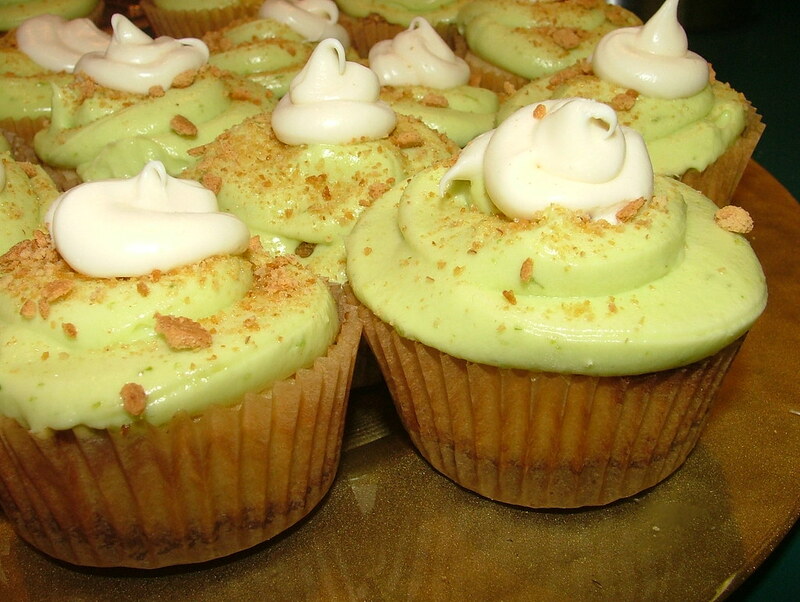 I know here in New York Butter Lane makes a mean key lime cupcake, though it's nowhere near as green as the ones seen here, and I think from the outside hardly even looks like "key lime" but sure tastes like it! 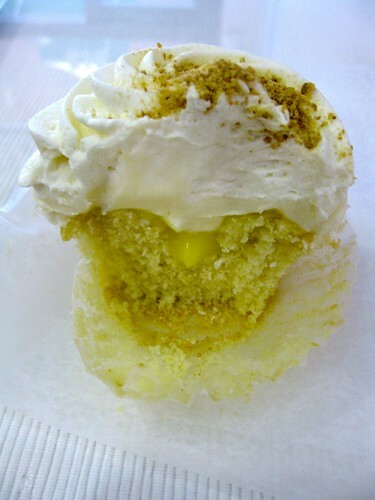 What other bakeries make a good key lime cupcake? 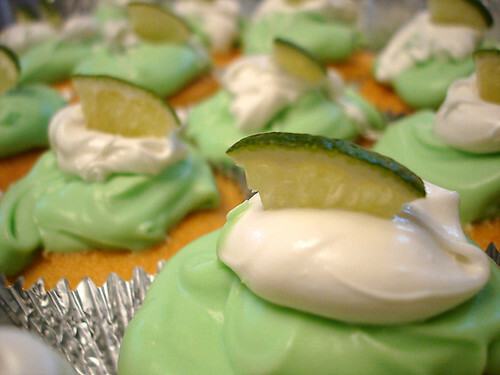 by _vina on Flickr - the white part is vanilla pudding and confectioner's sugar! YUM. 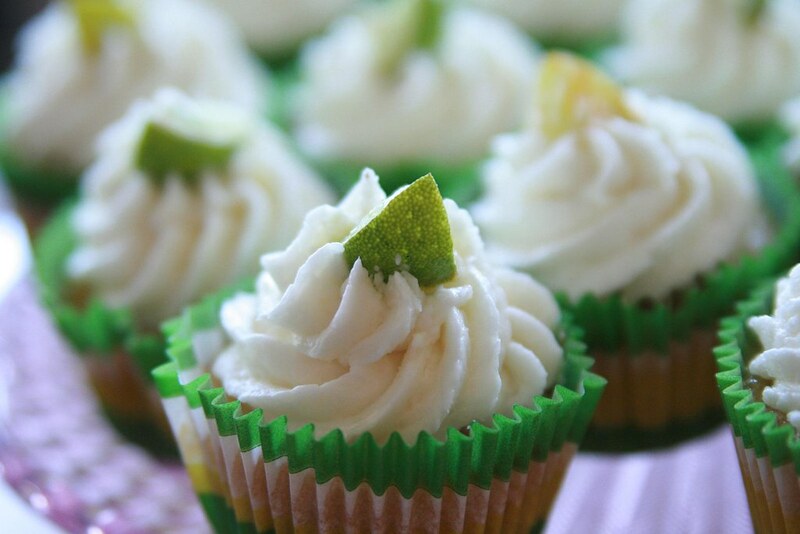 key lime cupcakes made with fresh limes. 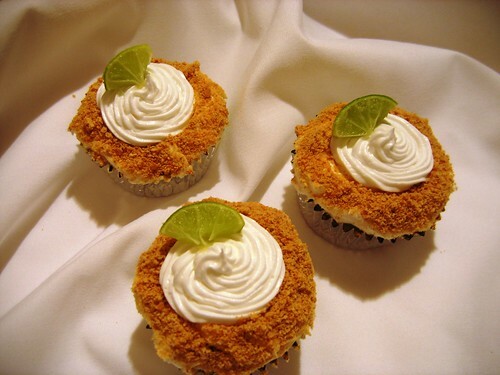 topped with cream cheese frosting and sprinkled with graham cracker. 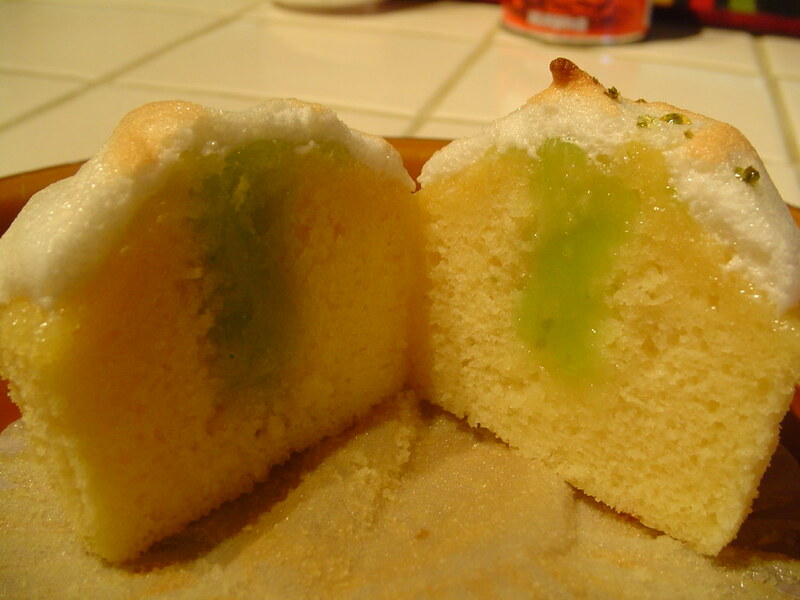 Cake: white cake flavored and tinted green with sugar-free lime jello mix. 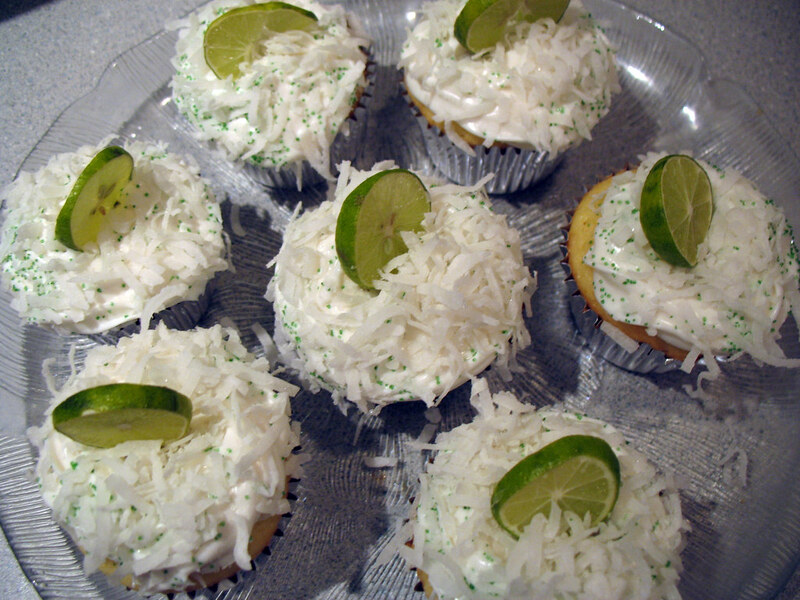 Icing: Buttercream with fresh key lime juice. Edges coated with graham cracker crumbs. And here's a recipe I found at BonAppetit.com - it's by Buttersweet Bakery in Hapeville, Georgia. * Preheat oven to 350°F. Line standard muffin pan with 12 paper liners. Whisk both flours in medium bowl. Beat butter in large bowl until smooth. Add sugar; beat to blend. Beat in eggs 1 at a time, then next 3 ingredients (batter may look curdled). Beat in flour mixture in 3 additions alternately with buttermilk in 2 additions. Spoon scant 1/3 cup batter into each liner. 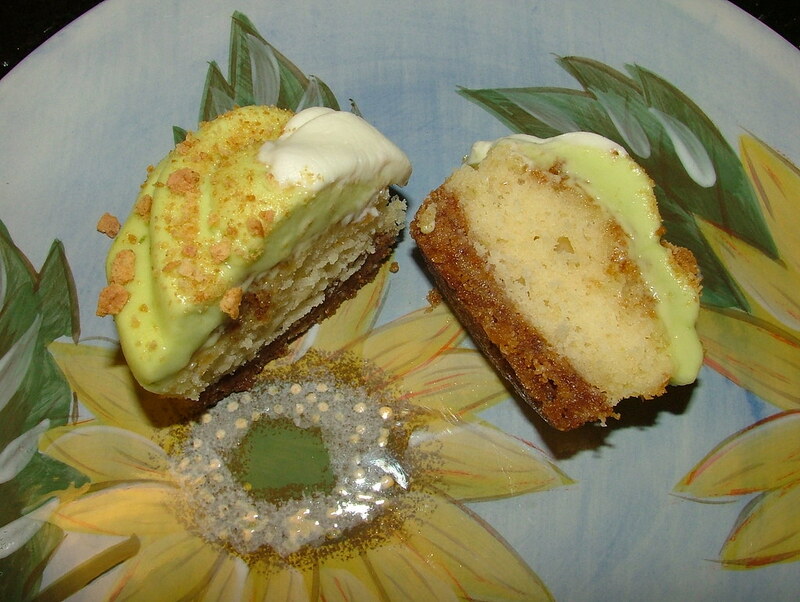 * Bake cupcakes until tester inserted into center comes out clean, 20 to 25 minutes. Cool 10 minutes. Remove from pan; cool. * Beat all ingredients in medium bowl until smooth. Spread over cupcakes.